Personal Injury Protection in Texas: Personal injury protection (PIP) pays for not only medical bills, but 80% of your lost income, and reasonable household duties (so if you couldn't mow your lawn due to your injury, it would pay for you to hire someone to do it for you . . . if you were doing it yourself before). Get as much coverage as your insurance company will sell you. Most will sell you at least $10,000.00 in coverage under PIP, some even more. Texas Personal Injury Protection (PIP): Texas Law states that your insurance company must "offer" to give you PIP (Personal Injury Protection) with any liability automobile insurance policy in Texas. You can reject it, but it must be in writing. If there is no signed written rejection, then you have the coverage. couldn't be performed due to an injury (in other words, if you had to hire someone to mow your lawn due to your injury, when you regularly did it yourself). Many insurance companies will also sell up to $10,000.00 in PIP coverage if requested. You should get as much PIP coverage as possible to protect yourself in case you are involved in an automobile accident. Texas law requires Personal Injury Protection be offered to a consumer who purchases liability insurance. There is no requirement that the consumer actually purchase the PIP coverage. But there is a require that PIP be "offered". In order to prove that Texas Personal Injury Protection (PIP) was actually offered, and then the consumer rejected the coverage, there must be a "signed written rejection" on file with the insurance company. If there is no signed written rejection of the PIP coverage, then there is coverage . . . whether paid for or not. It will be the minimum Texas Personal Injury Protection (PIP) limits - $2500.00. When the policy is renewed the next year, a new rejection is not required. Once rejected, the policy holder continues to not have PIP coverage from renewal to renewal, until they contact the insurance company and ask for coverage. Insurance companies are pushing the envelope more and more with regards to what medical bills they will cover under PIP. Back when I was an adjuster (1989-1997), insurance companies would make sure the treatment was related to the collision (and not preexisting, or from some other cause), and they would make sure it was care that was actually received (and not some padded bill that had services added in that were not received). Pretty much that was it. If it was caused in the incident in question, and if the bills were for treatment received, the claim was paid. Now, insurance companies have started denying claims, or parts of claims, for many various reasons. One of the more common "new" reasons is to claim that the amount that your doctor charged was unreasonably high. They will reduce the amount that they will pay under PIP by an amount that the insurance company thinks is reasonable. Part of the problem is defining what "reasonable" means in this context. Insurance companies will try to claim that if your doctor accepts health insurance from certain medical providers, that the amount they accept contractually from those health insurers is the reasonable amount. They will then issue a check based on that amount. The problem is that they don't contact the doctor's office to find out if they will actually accept that amount. Unlike health insurance companies, who get that agreement for contractual adjustment, most of the time the PIP insurance company will just send a letter to you with a payment claiming that this is the "reasonable" amount of the bill without confirming with the doctor or hospital if they will accept that "reasonable" amount. This doesn't sound reasonable to me . . . but it doesn't stop PIP insurance carriers from trying. PIP in Texas allows a claimant to recover their lost income on their PIP claim. The insurance company may require proof in the form of medical documentation verifying that the claimant was unable to work for the time claimed. The lost income recovered comes out of the same pot of $2500 (or whatever your PIP limits are), so if you have $1500 in medical bills, and another $1500 in lost income, but you only have $2500 in coverage - you can only recover up to $2500, and nothing more, for that particular policy in question. If the injured person was NOT an income producer or wage earner, they may make a claim for reimbursement of expenses required to replace the essential services the injured party normally would provide to the family or household. If you make a claim against your own insurance for Uninsured Motorist Bodily Injury coverage, or Underinsured Motorist Bodily Injury coverage, your auto insurer can reduce the amount payable under the Uninsured / Underinsured coverage by the amount already paid under Personal Injury Protection. So for instance, if your claim for bodily injury under Uninsured Motorist coverage was worth $20,000.00, and the insurance company had already paid $2500 under PIP, they would claim an offset for the amount they already paid for $2500, and would pay $17,500 instead (reducing the amount the claim was worth ($20,000) by the amount already paid ($2500). This is different than if you are making a claim against another person's liability insurance, as the other person's liability insurance is not the same insurance policy as the PIP coverage - therefor in that case (where PIP and the liability settlement come from two different insurance policies) no offset is allowed. You may have more than one PIP coverage that you can collect. If, for instance, you have your own insurance policy for your own vehicle, but you were a passenger in someone else's vehicle when you were injured, you can collect under both insurance policies for PIP. The coverage from the two or more different policies will add together. For instance, if you have a $2500 PIP policy on your own car, and then you have a $2500 PIP policy available on the vehicle you were traveling in, you essentially have $5000 in coverage, but if you have less than $2500 in bills or claims, then it will not make a difference. In other words, if you have two policies, but only have $2500 in bills, you only recover $2500. If you have $4000 in bills, you will recover $2500 from the primary PIP policy, and then recover another $1500 from the other PIP policy, which adds up to the $4000 you are out of pocket and need to pay or be reimbursed on. PIP is payable without regard to who was at fault in the automobile accident. If you are the cause, or the other person is the cause, or if nobody was the cause (such as if a deer ran into your path and caused injury), it does not matter - you still can recover under PIP. The key is whether you are injured getting into, out of, or while occupying a covered automobile, or while you are a covered person, and it arises from an accident. There are several time limits in insurance claims. Two that I will talk about here are 1) the time limit for submitting claims, 2) the time limit to sue for not paying a claim. 2) Time Limit to Sue for Not Paying a Claim: Texas Contract Law has a 4 year statute of limitations. If you submit a claim to your automobile insurance carrier for Texas Personal Injury Protection (PIP), and the insurance company wrongfully denies paying the claim, you have 4 years from the date of the breach of contract to file the lawsuit to enforce your contract. How does PIP work? Personal Injury Protection or PIP is a coverage that is required to be offered in the State of Texas. The Law Office of Doug Goyen has litigated numerous Personal Injury Protection (PIP) cases on behalf of people who were wrongfully denied coverage by unscrupulous insurance companies. If you need an attorney regarding your PIP, you need to call a Dallas Personal Injury Protection attorney. Call us to see if we can help. PIP is a “no fault” insurance. The way that Texas has caused PIP to be “no fault” is by stating that the insurance company cannot “subrogate” (collect) against any other insurance in order to get their money back. This means that the amount of money received via your PIP coverage should not affect your liability settlement with another person’s liability insurance. Significance of no “subrogation”: To understand the significance of insurance companies not being able to subrogate, you need to first understand the word “subrogation”, and then need to understand the “collateral source” rule. Subrogation: Is the process by which an insurance company who has paid a loss under its policy is allowed to collect against other insurance policies that may owe for the claim either totally, or at least a portion of the claim. So for example, if your health insurance company pays for your medical bills resulting from an automobile accident that was caused by someone else, your health insurance company will often try to “subrogate” against the automobile insurance policy of the person who caused the accident in an attempt to get their money back from the responsible person’s insurance. In Practice: Often, then insurance company that is attempting to “subrogate” simply sends a letter to the attorney of the injured person and the other insurance company - placing them on notice of their “lien” on the case - and demanding that their name be placed on any settlement checks to protect their right of subrogation. Seldom do they hire their own attorney to do the work required to actually do the collecting - the exceptions are when there is a significant amount paid out by the health insurer, and the injured party has hired an attorney to sue the other driver’s liability insurance company, then sometimes the health insurance company will hire an attorney to try and ensure they get their cut of the settlement proceeds. PIP Carriers: Are not allowed to subrogate, therefor the amount they pay do not affect the amount you receive in your settlement from the liability carrier typically. Collateral Source Rule: Is a rule in Texas that a jury is unable to consider whether insurance has paid any part of the claim or not. Because of this, the only thing introduced in a trial to prove injury damages is the amount of actual damages. One reason for this is that it avoids the need to complicate the evidence produced in an injury trial. If insurance is allowed to be introduced, then the amount paid for the premiums would need to be introduced (because the defendant didn’t pay for the premiums, why should he get the benefit of the payments made?). Subrogation: As discussed above regarding “subrogation” the health insurance companies place a “lien” on any amount recovered in a lawsuit for injury - some of these liens are automatic and statutory (Medicare / Medicaid). If the jury was to NOT pay for the amount covered by insurance, and then the health insurer then “subrogated” out of the amount awarded by the jury, then the amount given to the injured party would be reduced double by the amount of the bills (first by the jury - who would take out of their award the amount paid by health insurance, and then again by the health insurer who would take out from the jury award the amount they paid). Additionally, the injured party would have had to pay premiums for this coverage that is not reimbursed by the person causing the injury or his liability insurance. Insurance subrogation issues are contractual issues between the person holding the health insurance and the injured party. In other words, it’s a separate claim, separate lawsuit, between the injured party and his health insurance company. If the injured person does not pay his health insurance company back pursuant to the health insurance contract, then the health insurance company has the right to sue the injured party, cancel their benefits, place a lien on any settlement or judgment proceeds, etc. Victim gets smaller award and Wrongdoer Gets less punishment if victim carries health insurance: Lets suppose a “wrongdoer” is a repeat drunk driver - hypothetically he causes 2 different accidents while intoxicated. Both create the exact same injury to the victim (two broken legs). In accident 1 the victim has health insurance that pays his bills. In accident 2 the victim has no insurance. If a jury were allowed to consider the amount health insurance paid, then the “wrongdoer” gets less punishment in accident 1 due to the victim having been responsible enough to buy health insurance. In accident 2 the victim was less responsible - did not bother to get health insurance - yet he gets a larger award due to the jury not being able to reduce due to health insurance. This gives a perverse result of responsible people in society (people who take the time and care to actually “pay” for health insurance) given less rights and less award due to their being responsible. It punishes the rights of those who act responsibly (people who buy health insurance), and rewards those who do NOT act responsibly (those who don’t protect themselves with health insurance). Windfalls - since the injured party was the person who “paid” premiums for his health insurance, the injured party should be the person who reaps any “windfall” for having paid for this coverage - the “wrongdoer” who caused the injury should not be allowed this “windfall” since he had no part in paying the premiums and is not a party to the health insurance contract. Deterrence - Allowing the wrongdoer (or his liability insurance company) to avoid paying the full amount of the damages - by reducing the amount by the amount paid by health insurance, reduces the deterring effect of the law. Making wrongdoers pay for the harm they cause helps to deter them (or others) from causing such actions in the future. It may not deter all wrongdoers from repeating, but if it just deters a few - or causes liability insurers to create programs that encourage their insureds to be safer, then it is worthwhile to force them to pay for the harm they cause. Contract v. Tort - the benefits owed to the injured person by the health insurer are contractual. The wrongdoer has no right to force the health insurance to pay the medical bills - this is a contract between the injured party and his health insurer has contracted with. To allow a wrongdoer to somehow get into the middle of this contractual relationship allows in an outsider into a contractual relationship. Not only allowing just any outsider, but an outsider who has committed a wrongful act that caused harm - who can then try to obtain benefit of a contract between the injured victim and his health insurance that the injured victim had the foresight and responsibility to take. Rich uncle - The paying of the medical bills by health insurance is similar to the paying of the of the medical bills by a rich uncle, or friend, or someone else as a gift to the person they care about. The law does not allow the wrongdoer to get benefit of a rich uncle paying their medical bills - as this is between the rich uncle and the injured party - maybe the injured party pays the rich uncle back, maybe it’s a gift that never gets paid back - it does not matter, the wrongdoer still owes the full amount regardless. Increased Insurance Premiums - some argue that the collateral source rule causes insurance premiums to be higher. This doesn’t tell the whole story and is not true if you look at ALL the insurance involved. It makes the wrongdoer’s insurance go up - sure - and it should go up due to his wrongdoing, but it makes the injured victim’s insurance stay down because they get their money back (as they should). Insurance pays the same amount - it just shifts the burden from the victim’s insurance to the wrongdoer’s insurance. The insurance that is then burdened is the insurance of the wrongdoer (which is the correct result). The medical bills paid by the health insurer are reduced by the amount “subrogated”. In other words, the health insurer of the innocent victim / injured party goes down as that health insurance receives its money back from the liability insurer, and the liability insurance for the wrongdoer goes up on an equal proportion to the amount that the health insurance goes down - so it balances out. Responsibility / No Free Ride - it is the wrongdoer’s responsibility to “right the wrongs” that he created - it is not “society’s” problem, or the victim’s problem, it is the problem of the wrongdoer - he created the harms, he must correct the harms. If your child knocks out a window of a neighbor while playing baseball, we make that child pay for the entire harm he caused in repairing the window - not part of it. Our system of justice requires the same thing, if you cause harm to someone or harm to someone’s property, you are required to “right the wrongs” you cause - it is your burden for causing the wrongs - not someone else’s burden, and not “society’s” problem. Required Coverage: The State of Texas requires Personal Injury Protection to be offered to every person taking out automobile liability insurance. A person can reject PIP, but it must be in writing. If there is no written rejection of PIP, then there is coverage - even if it has not been paid for. In the situation of no PIP on the policy, but no written rejection exists, most courts have given the minimum limits to the insurance policy ($2500 in PIP coverage then exists). Amount of Coverage / Limit of Liability: The minimum amount of PIP to be offered in Texas is $2500.00. There is no maximum amount. You can get as high an amount as your insurance company is willing to sell you. Typically most insurance companies offer PIP in either $2500, $5000, or $10,000 amounts. What is Covered: Reasonable medical and funeral expenses, 80% of lost income if employed and producing income at time of loss (does not cover after person dies), care and maintenance of family or household. Who is covered: Any “covered person” in the covered automobile is covered by the PIP. A covered person can be a permissive user or passenger in the vehicle. You must be careful of exclusion clauses in auto insurance policies that attempt to exclude any coverage while particular people drive the vehicle. In these situations, insurers are certain to attempt to avoid coverage if they can. The policy must be scrutinized and the law in this area must be referred to if this happens. How to make claim / time limit: You must typically fill out an application sent to you from your insurance company to make your PIP claim. The policy only covers bills that are incurred within 3 years of the accident. Offsets: Texas courts have determined that if you make a liability claim under you Uninsured/Underinsured Motorist coverage for injury, that any amounts paid by PIP coverage under the same policy is able to be “offset”. In other words, if you receive $2500 in PIP, and your Uninsured Bodily Injury claim under the same policy is worth $10,000 total value - your insurance policy can lower the amount they pay you by the $2500 they already paid under PIP (this is not done on liability policies, only Uninsured Motorist policies because the money comes out of the same policy for both PIP and Uninsured Motorist benefits). Compare to MedPay: Medpay benefits received ARE subrogatable against another person’s liability coverage, so they can affect the amount you receive from the liability insurance from the other driver’s liability policy. Cases where not covered: (no “use” of automobile): Most cases allow coverage if the injury is from the “use” of a covered car. Some cases where coverage has not been afforded have been - the injured person took 4 steps from car-no coverage, person shot inside a car by a drive-by shooting - no coverage because it wasn’t from the “use” of the car. Exclusions: Intentionally caused by the injured party, while committing a felony, while attempting to flee law enforcement, while occupying any vehicle owned by the covered injured person but has not been reported on the policy, by a family member while in a vehicle owned by the family member that is not on the policy, all are reasons that the insurance company has on the policy to exclude coverage. Other Insurance: If there are multiple PIP policies that may cover the claim, they will pay their pro-rata share of the claim. How Quickly Claims Should be Paid: 30 days is the time limit that a PIP claim should be paid. Assignment of Benefits: If your doctor has you sign an “assignment of benefits”, they can make the claim directly against your PIP. This is usually significant in cases where you wish to use your PIP benefits for your lost income (80%), but discover that your doctor already used all your PIP benefits for his doctors bills (instead of him using your health insurance - he decided to use your PIP). Should you hire an attorney? 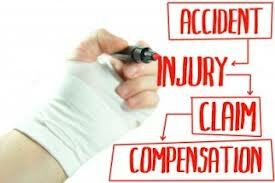 : Yes, if you have been injured, and you are needing to make a claim for your injury, you likely need to at least consult with an attorney that knows the process and pitfalls regarding your Personal Injury Protection claim. Contact our office and speak to a Dallas Personal Injury Protection Attorney today. Call the Law Office of Doug Goyen at (972) 599 4100 for a lawyer who is licensed, experienced in injury matters, and has been educated regarding automobile insurance and worked for automobile insurance companies for 7 years prior to becoming an attorney. We can help.